Today was our last trip out as a group for this course which is kind of sad, but it was an interesting day overall. 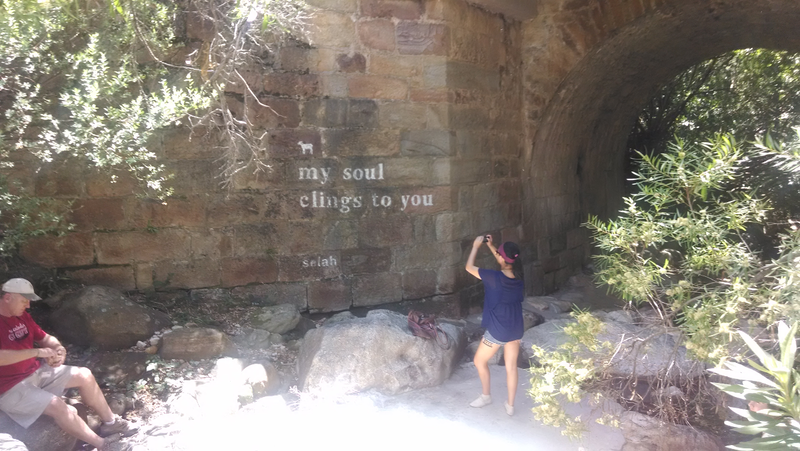 We left around nine this morning and drove through Stellenbosch. Sadly I don't have any good pictures, but our professor told us about his experience at university there back in the 70s when he had to wear long pants and girls had to wear knee length or longer dresses. On Sundays, suits were compulsory. Now students gladly walk around in shorts and sundresses, after all times have changed just a little bit since then. 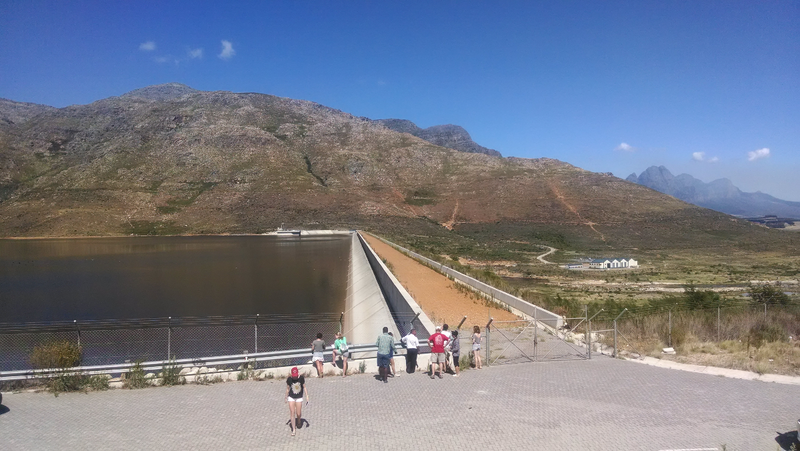 Our next stop was the Berg River Dam. It is one of many dams that the municipality uses to store water for the dry summer months in Cape Town. The big deal though is that the water is by far the purest out of any of the dams. Furthermore, the dam has a relatively low environmental impact because they are required to allow a certain amount of water through to the other side for farms and others. 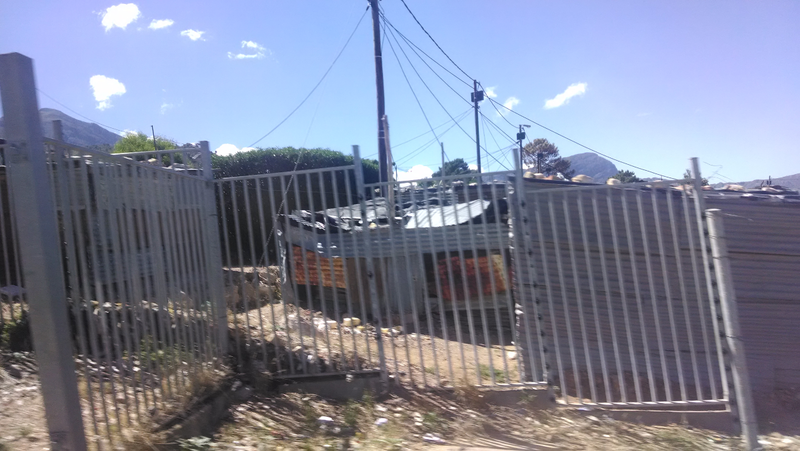 We continued on to Franschoek and our professor had the driver go through part of an informal settlement on the way. In these settlements, the majority of the houses are shacks. Basically, the builder makes a frame out of pine which has to be reasonably sturdy. Onto that, they tack on corrugated plates of metal. Windows cost extra. Moving on, we stopped at a Pick n Pay to grab some lunch and ended up having lunch underneath this old bridge that was originally built in 1825. It was an arch bridge, pretty standard brick construction with a keystone, but very solidly built. There were what looked like a few fatigue cracks, but nothing particularly serious for the near future and it was a gorgeous spot. After lunch we drove for a while with some drop dead gorgeous views, as usual for the parts of South Africa I've seen so far, and stopped at a little restaurant in Grabouw where we had some tea and scones. 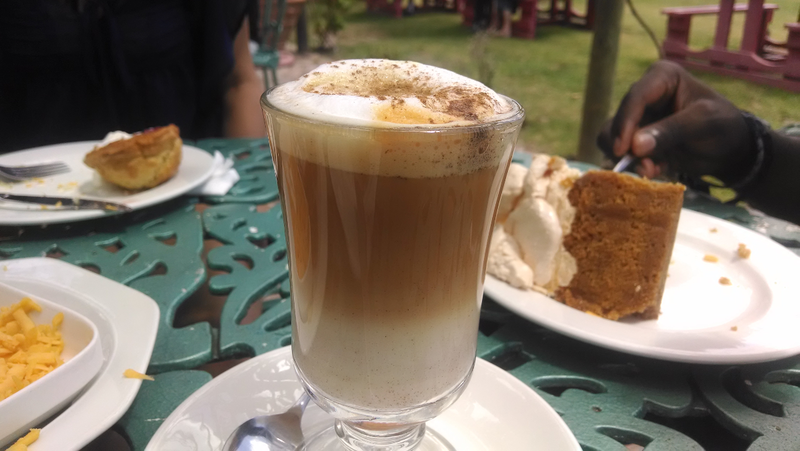 I ended up having a Rooibos Latte which was very nice with the scones. Really, it was a pretty good way to relax and settle a bit after lunch and all of the work we've had. Better yet, our professor treated us. To give you an idea of what a lot of the day looked like, here is a view from the car as we drove toward Khayelitsha. After about a half hour, we ended up in Khayelitsha which is a township on the outskirts of Cape Town. We first drove through Philippi, much of which looked like a typical American suburb (admittedly with barbed wire on the walls). 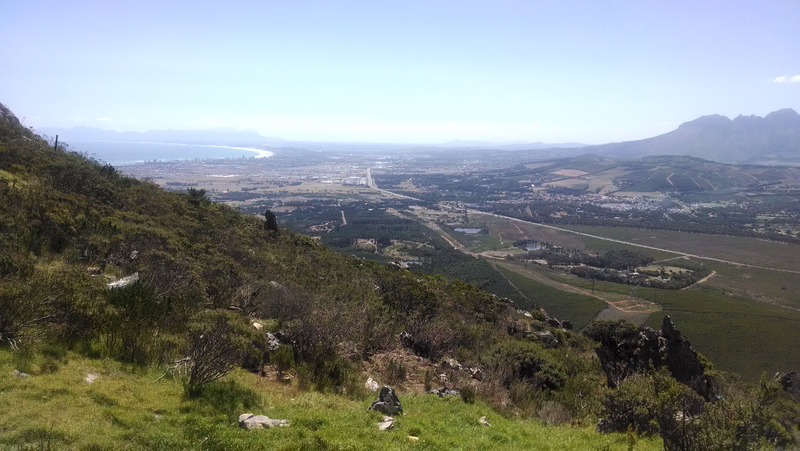 In Philippi, there are also several farms which actually produce around 80% of Cape Town's vegetables, according to both our professor and Wikipedia. Driving some more we ended up in Khayelitsha itself, which has a whole host of issues. Just to give a few examples, while we did see flush toilets, there is not really a sewage system and most of the shacks do not have access to water. The government-built houses are very small and the bathrooms are usually small outhouses outside if anything at all. I don't really feel I can speak about it with authority, but the Wikipedia article facts match up pretty well from what professors and South Africans have told me. It put a damper on the end of the day, but on the plus side, we spoke with a Somali shop keeper. Despite the constant stories in the news about xenophobia in the area, he said he felt safe and comfortable in the community. The fact that he had learned !Xhosa (the ! means it begins with a click) probably helped and may not have been true, but it was good to hear regardless. Tomorrow we start our final exam, which means this particular course will come to a close. It has been an amazing month and I am looking forward to classes starting.